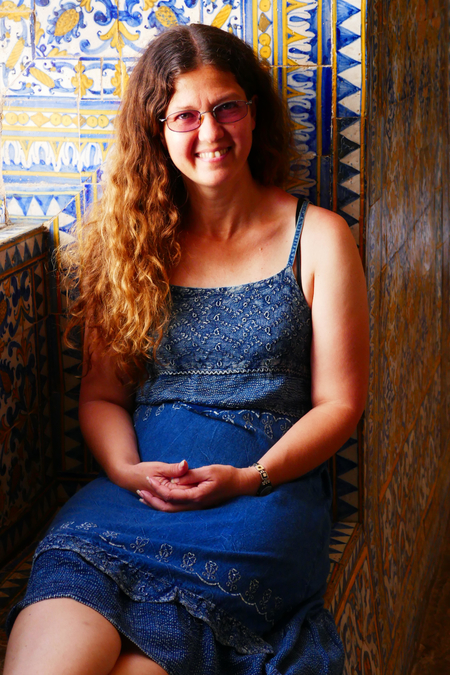 We’ve caught up with our favourite vegan traveler, Wendy Werneth of the Nomadic Vegan, to find out what it was like being vegan on the Camino de Santiago in Spain, and to find out about how her new book, “Veggie Planet”, will help vegans and non-vegans alike discover local cultures through the unsuspecting medium of plant-based cuisine. So Wendy, where have you been during your most recent travels? Well, I just returned home from my most recent trip, which was a 799-kilometer journey across Spain. On foot! I walked all the way across the country on the medieval pilgrimage route known as the Camino de Santiago, starting just over the border in the French village of St. Jean Pied de Port and ending in Santiago de Compostela. Before that, earlier this year I spent about a month traveling around Malta and parts of southern Italy, including Naples and Sicily. Did you have any unsuspected vegan ‘wins’ during those travels? Yes, lots! Before starting out on the Camino de Santiago, I had done some research about the availability of vegan food on the trail. The little information I found was mostly negative and made it sound like I would have to cook all my own meals and avoid restaurants entirely, except when passing through large cities. But that wasn’t the case at all! In 39 days of walking, my husband and I only cooked dinner for ourselves five times. The rest of the time, we ate out in restaurants or in the pilgrims’ hostels (albergues) where we stayed, and we found plenty of vegan options. We even stayed in several albergues that only served vegetarian (and mostly vegan) food. The Camino de Santiago was much more vegan-friendly than I had expected! I’ve just published a post on my blog with my top tips for eating vegan on the Camino, for anyone who may be thinking of making the pilgrimage. As for Italy, I had already fallen in love with Italian cuisine long before this year’s trip, so I knew the food there would be wonderful. Even so, I discovered that the pizza marinara made in Naples, where pizza was first invented, is head and shoulders above the pizza made anywhere else in Italy. I ate pizza marinara at least once a day for the four days I was in Naples, and I never got tired of it. Many people don’t realize that the original pizza is actually vegan! Pizza marinara is pizza in its original, purest form, which is topped with just tomato sauce, garlic, dried oregano, and sometimes fresh basil. No cheese! Anything that stood out as disappointing? Well, most of the food we ate on the Camino de Santiago was not what you would call gourmet, but that was true for all pilgrims – vegans and non-vegans alike. I can’t really say that I was disappointed, since the wide availability of vegan food actually exceeded my expectations. In Malta, I was a bit disappointed to find that traditional Maltese food was somewhat hard to come by. Pizza and pasta were everywhere, so finding a vegan meal was never a problem, but when I travel I love to seek out the naturally vegan dishes that are part of the traditional cuisine. In the end, I was pretty successful with this, though. I discovered traditional Maltese dishes such as widow’s soup, which is a tasty vegetable soup made with potatoes, carrots, garlic, peas and cauliflower. And then on the island of Gozo (which is part of the country of Malta but is a separate island) I walked for about an hour to a tiny village just to taste the ftira made at the famous Mekren’s bakery. Ftira is a Gozo specialty and is similar to Italian pizza, except that it’s not topped with tomato sauce or cheese. So, like pizza marinara in Naples, a vegetable ftira is also completely vegan! How do these locations compare to others around the world, in terms of their vegan-friendliness? Spain is definitely not one of the world’s most vegan-friendly countries. After all, two of the things it’s most famous for are ham and bullfights (and all the bulls who are killed in the bullring end up in the slaughterhouse). Nevertheless, Spanish cuisine actually includes a lot more vegan dishes than most people realize. Vegan and vegetarian restaurants have been popping up all over Madrid and Barcelona in recent years, but even in rural Spain you can always find something, such as a gazpacho (a cold tomato soup) or a vegetable paella (a saffron-infused rice dish). Southern Italy is incredibly vegan-friendly, though many people don’t realize this. The vegan movement is not particularly strong there, so you won’t often see veg options marked on menus, for example. But once you learn a bit about the cuisine and know what to look for, you’ll see that there are loads of vegan dishes on just about every restaurant menu. As for Malta, I’ve heard a lot of complaints about how it’s not veg-friendly at all. And it’s true that there are only a couple of vegetarian restaurants in the country, and no fully vegan restaurants. And yet, I ate some truly delicious vegan meals there! As I mentioned before, I love seeking out traditional dishes that just happen to be vegan. And even in a place like Malta, where the local cuisine is probably best known for its wide use of rabbit meat, I managed to find several local specialties that were vegan or easily veganizable. You’ve also been working hard on releasing a book, “Veggie Planet”; has writing this book energized or exhausted you? Ha ha, I’d have to say both! Mostly it has been energizing, because I’m really passionate about making the vegan lifestyle easy and accessible for people. And I also thoroughly enjoy doing all the research to uncover the naturally vegan dishes in world cuisines. But there’s a lot more to publishing a book than just writing it, and trying to organize the book launch while walking the Camino de Santiago was quite stressful and exhausting at times. I managed it for a few weeks, but in the end I had to put the work aside and just be in the moment so that I could fully benefit from the Camino experience. 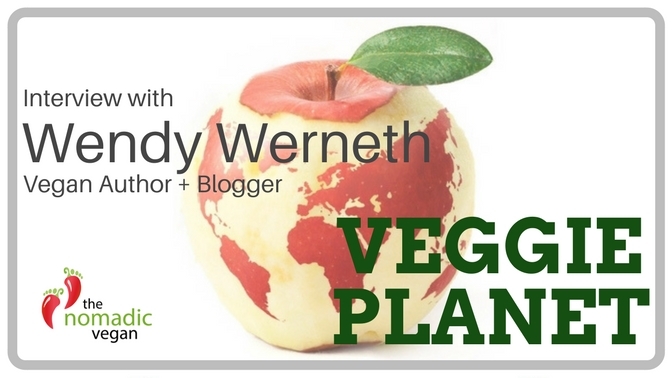 Now that the Camino is over, I’m back in overdrive trying to get the word out about Veggie Planet, so that it can help as many people as possible. What will readers, vegans or otherwise, be able to take away from this book? I think that both vegans and non-vegans will gain a new realization that the world is more vegan-friendly than they initially thought. Most traditional cultures eat a diet that is largely plant-based. The meat-heavy Standard American Diet that’s so prevalent in North America is the exception, not the rule. That’s why ethnic restaurants that serve Indian, Chinese, Middle Eastern or other world cuisines generally have many more vegan dishes than the typical American chain restaurants. Even people who don’t travel much will find that, after reading Veggie Planet, they suddenly have many more options available to them when eating out. 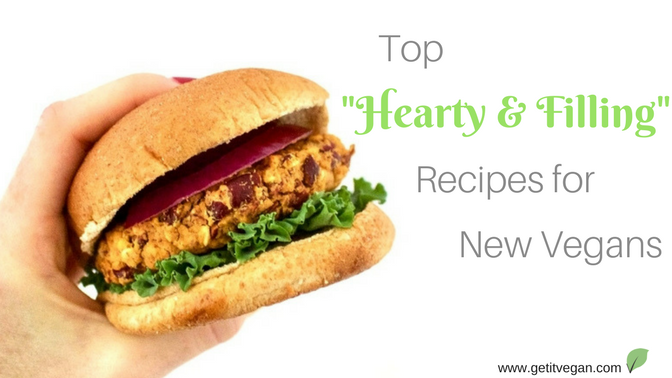 And in addition to realizing how vegan-friendly popular world cuisines are, many readers will also discover entirely new cuisines and cultures that they weren’t previously familiar with. Ethiopian is one example of a cuisine that many people discover only after becoming vegan, precisely because Ethiopian cuisine is so very vegan-friendly. It’s now one of my favorite types of food in the world, and I can’t imagine living without it! What advantages will buying this book have over following your blog at The Nomadic Vegan? On my blog, I try to share as much information as possible to show my readers that they really can be vegan anywhere and spread compassion everywhere, but the format of a blog has more limitations than a full-length book. 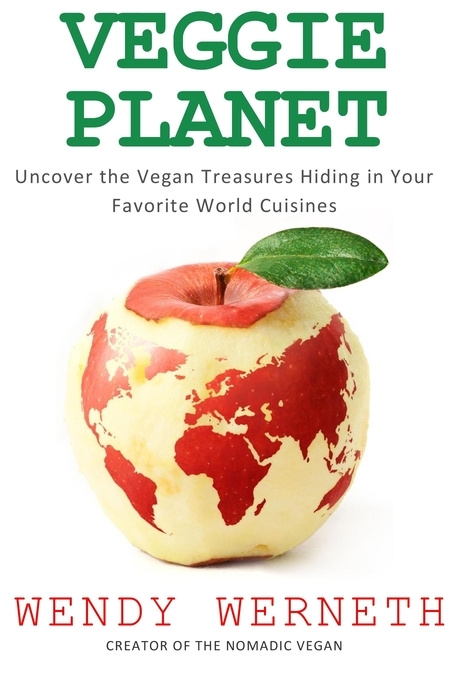 Some of the information in Veggie Planet is also available on the blog, but most of the cuisines discussed in the book are ones that I have not yet covered on The Nomadic Vegan, or at least not in such detail. Also, readers of Veggie Planet will gain exclusive access to downloadable bonuses, such as printable cheat sheets that they can bring with them to restaurants so they’ll know exactly what to order. Did writing this book bring back any interesting memories of your travels? Yes, plenty! Actually, some of the countries covered in Veggie Planet are ones that I visited before I was vegan, so researching them for the book made me realize how much I had missed out on during my travels there. It’s funny, many people think that vegan travelers must be missing out the local culture, but I feel like it’s the other way around! Now that I’m vegan, I learn so much about the culture of the places I visit just by researching the local vegan cuisine. Veganism opens up a new window and offers me a glimpse into these cultures that most visitors don’t get to see. When I was writing the chapter on Greek cuisine, it brought back lots of memories of my travels in Greece in the autumn of 2014. Actually, that trip was when I became fully vegan, and I count my veganniversary from the day my plane touched down in Athens – September 10th, 2014. Back then, I was still afraid that being vegan was going to ruin travel. Despite my reservations, I decided to give vegan travel a trial run during my three-week trip in Greece, and I was astounded to discover just how many vegan dishes there are in Greek cuisine. Needless to say, after that trip I fully embraced the vegan lifestyle and never looked back. You’ve started a #1Book10Lives campaign to raise money for The Humane League through the sale of Veggie Planet. Can you tell us a little more about this, such as how this idea came about, and what The Humane League does? I was inspired by a similar campaign run by an author named Chandler Bolt. He wrote a book called Breaking Out of a Broken System, and for every book Chandler sold he donated to charity enough money to buy a life-saving anti-malarial pill for a child in Africa. To promote the campaign, he used the hashtag #1Book1Life. I thought it was a great idea, and I wondered if it would be possible to do something like that to help non-human animals. The only obstacle was that I wasn’t sure I could find data showing how much money it takes to spare an animal’s life. Fortunately, The Humane League was able to help with that. They are a very data-driven organization that works relentlessly to reduce animal suffering through grassroots education to change eating habits and corporate campaigns to reform farm animal treatment. And they are extremely effective in their work, which means that with this campaign we are able to spare the lives of many more animals than I had originally hoped! I am donating to the Humane League a portion of the proceeds from every copy of Veggie Planet sold, and, according to estimates published by Animal Charity Evaluators, the amount donated for each book is enough to spare 10 animals from a life of misery in industrial agriculture. So, instead of a #1Book1Life campaign, we now have a #1Book10Lives campaign! Do you plan on doing a book tour to promote the book and interact with fans? I would really love to do a book tour one day. But since I’m still catching up on all the work I had to put on hold while walking the Camino de Santiago, I’m not sure how soon I’ll be able to organize a tour like that. Instead, right now I’m focusing on making connections online, since I can reach so many more people that way. I will be holding a “Meet the Author” live online event, where readers can chat with me and ask me anything they want about the book. This is just one of the exclusive bonuses available to people who pre-order Veggie Planet before it’s officially released. When is the book coming out, and how can people buy it? The official release date for Veggie Planet is July 21st, 2017. However, the digital version is available for pre-order on Amazon right now! As I mentioned, I’m offering some exclusive bonuses to people who pre-order the book before July 21st. In addition to a free ticket to the Meet the Author online event, readers who pre-order will also receive a pack of recipes for dishes from around the world, a special bonus chapter on a cuisine not covered in Veggie Planet, and a sneak peek at my next book – Italy for Veggie Lovers. You can find out more about the book on the Nomadic Vegan website or go to Amazon to pre-order your copy.